"The heart seeks neither coffee nor coffeehouse. 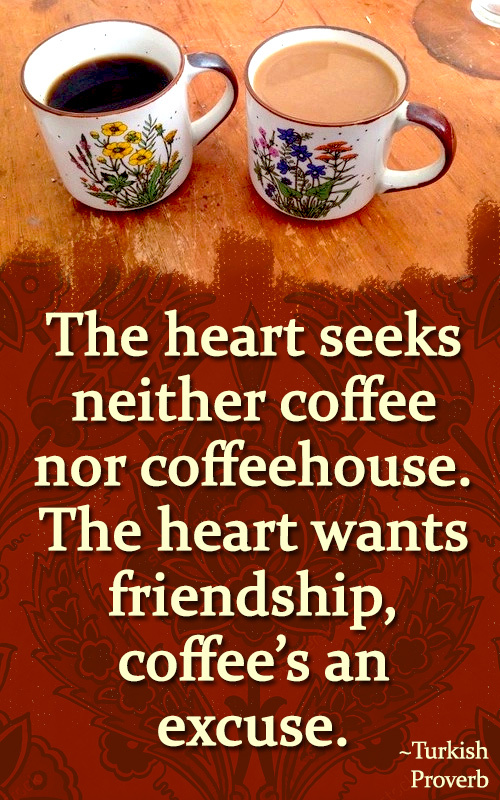 The heart wants friendship, coffee's an excuse." Translated from its original in Turkish: "Gönül ne kahve ister ne kahvehane. Gönül sohbet ister kahve bahane." It's a lovely proverb with a non-materialist attitude, reminding us of the importance of our real needs.